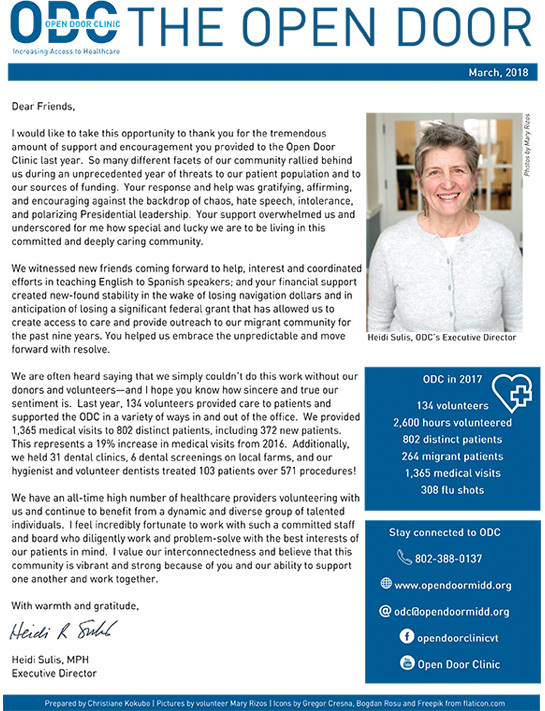 So many different facets of our community rallied behind us during an unprecedented year of threats to our patient population and to our sources of funding. Your support overwhelmed us and underscored for me how special and lucky we are to be living in this committed and deeply caring community. So many different facets of our community rallied behind us during an unprecedented year of threats to our patient population and to our sources of funding. Your response and help was gratifying, affirming, and encouraging against the backdrop of chaos, hate speech, intolerance, and polarizing Presidential leadership. Your support overwhelmed us and underscored for me how special and lucky we are to be living in this committed and deeply caring community.